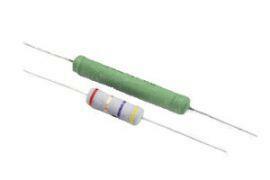 Mundorf MR metal oxide film resistors do not have any residual inductivity. This is the reason why these resistors should be favoured whenever impulse speed is required, e.g. in the medium and high frequency range.